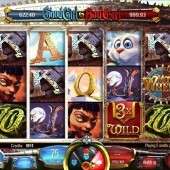 3D slot developer Betsoft Gaming has decided to release this 5 reel, 30 pay-line slot playing on this never-ending dilemma between good and bad. The question is now with you, the player. Do you want to pick the good side or do you want to choose the bad side? Or do you cheekily fancy a bit of both? 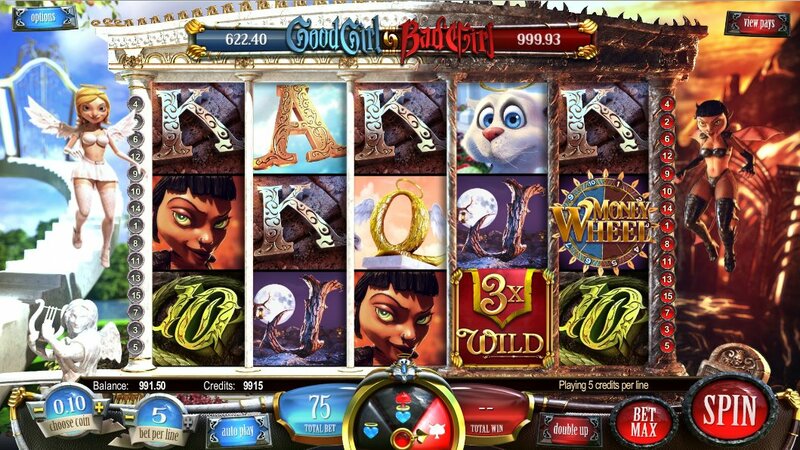 Before each spin on this slot you must decide what you want to be. Do you want to be the good girl who pays from left to right or do you want to be the bad girl that pays right to left? If you choose either of these two extreme sides then you will only activate 15 paylines. If you decide to opt for both then you will be activating all 30 paylines and the slot will pay both ways. The symbols on the reels reflect the contradictory nature of the slot. There is a symbol of the Good Girl and a symbol of the Bad Girl. There is also a symbol of a pretty mean looking cat but also a symbol of a fairly harmless looking cat. Even the regular 9-through-Ace symbols have a background of either day time or night time to reflect the pathetic fallacy used in the slot. The halo acts as the Wild symbol when you play the Good Girl side and the pitch fork represents the Wild symbol if you choose the Bad Girl side. The Good Girl Wild will be less risk with less coins required but there will also be lower pay outs. The Bad Girl will be slightly higher risk where you will need more coins but the potential pay outs will be bigger. The Good Girl Wild can offer only up to a 2x multiplier value where as the Bad Girl Wild can offer up to a 4x multiplier value. There is also a Click Me Bonus that can be triggered on this slot and that is triggered if you hit the halo Wild and the pitch fork Wild next to each other on the reels. This bonus is split into four different levels where players must pick a selection of gift boxes in the correct order to progress to the next round and win prizes. The rules will vary depending on which game mode you are playing. The bonus feature you will really be looking to hit though is the Money Wheel Bonus. This is triggered when you hit three or more of the Money Wheel symbols on the reels. If you are playing as the Good Girl then your wheel will be spun in heaven but if you’re the Bad Girl then your wheel will be spin in hell. Every spin of the wheel will give you the chance to win some prizes. Good Girl, Bad Girl is a slot that I was hoping to see a bit more from. I liked the whole good versus bad angle but I felt it could have been used more effectively. The fact you can play both to benefit the most kind of defeats the whole object of the good or bad choice. Betsoft Gaming are one of the most innovative developers out there though and the fact they went for a good versus bad angle is nice to see. I think I’d rather play some of their other slots such as the explosive fireworks-fest, Boomanji, or the adorably cute Puppy Love but this is not a bad slot.